Hello Hello! Lousie here, but everyone around here calls me Wheezie for short. 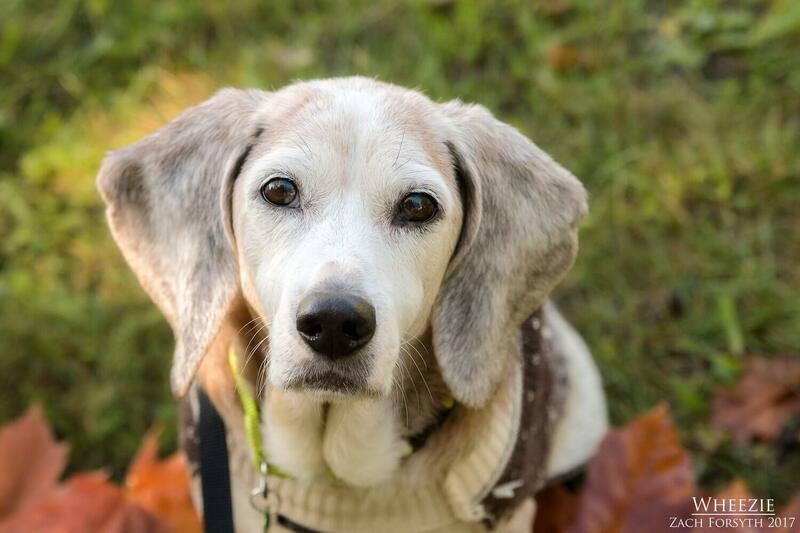 I am an adorable salt and peppered Beagle lady weighing in at about 25lbs. 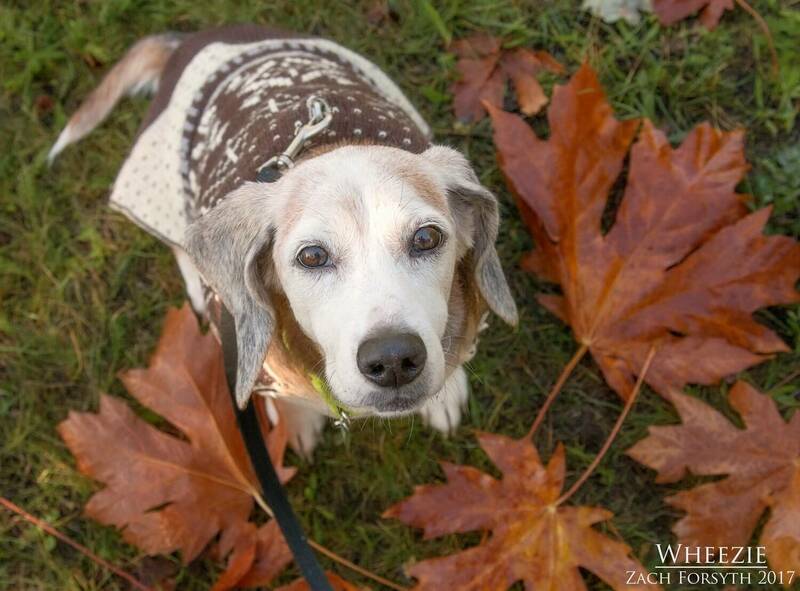 At 12 years young, I still enjoy walking around the back yard with my beagle nose to the ground, investigating all the sites and sniffs. I even sometimes enjoy a slow short walk down the block and back. But mostly I am just looking for lots of attention, pets, and my favorite-belly rubs from my favorite humans! I just love being near my people when I am not snoozing away on my favorite bed during one of my many afternoon naps. Even if you stop petting, I will roll on my back and ask for more and more belly rubs please! I was quite the active and spunky gal in my past, but now I am just looking for a nice quiet owned home to retire too and bond with that special someone. I get along with everyone I meet and don’t mind snuggling up with a fellow mellow pup or kitty too. Looking for that special cuddlebug who will love you to the moon and back? Well look now further because I am your gal! Fill out an application and we can set up a meet. I come to you spayed, vaccinated, and micro-chipped with an adoption fee of $250.